The Idaho Honey Industry Association in cooperation with the Idaho Honey Commission secures educational and promotional materials from the National Honey Board. These materials and some that we create internally are available for you to use at fairs, special events, field trips or when speaking to people about the industry. Please contact the IHIA office in Meridian well in advance of when you need the materials so we can have them to you prior to your event. Please be aware that some quantities may be limited and from time to time not all materials are available. The recipe brochure features eight scrumptious recipes, ranging from beverages to appetizers, entrées and side dishes. 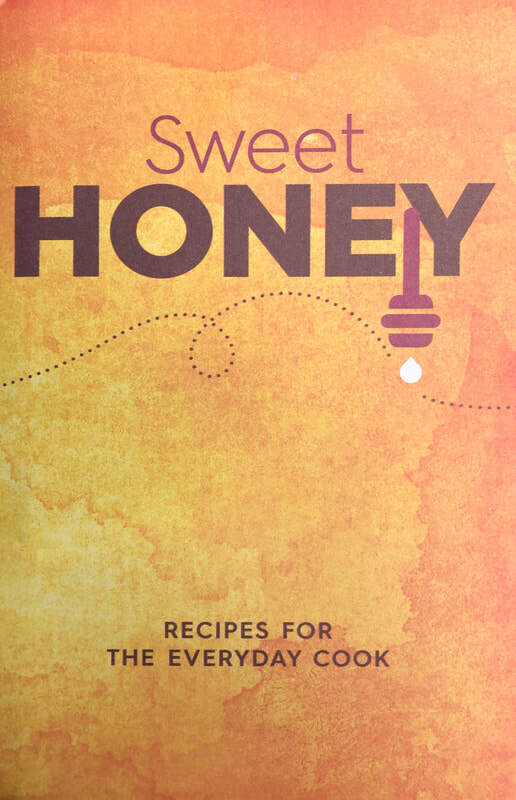 The convenient, accordion-style layout educates readers on how they can make honey their go-to, secret ingredient at home. This new brochure provides a “Natural Energy” message about the carbohydrate composition of honey, and how it can serve as an aid to the exercise routines of athletes. Also includes two high-energy recipes as well as honey usage tips. This is a beautiful full-color 4-page guide to many of the available honey varietals. Twelve different floral sources are carefully illustrated with a picture of the honey jar and the flower visited by the honey bees. A concise descriptive paragraph accompanies each varietal. Full size: 11” x 8”. This eye-catching brochure focuses on honey’s versatility and its endless uses that can easily transition between the kitchen, gym and bathroom vanity. From honey’s countless culinary uses and benefits to honey’s ability to be incorporated into a luxurious facial recipe, this brochure won’t disappoint in giving honey lovers new and innovative ways to think about and use honey. 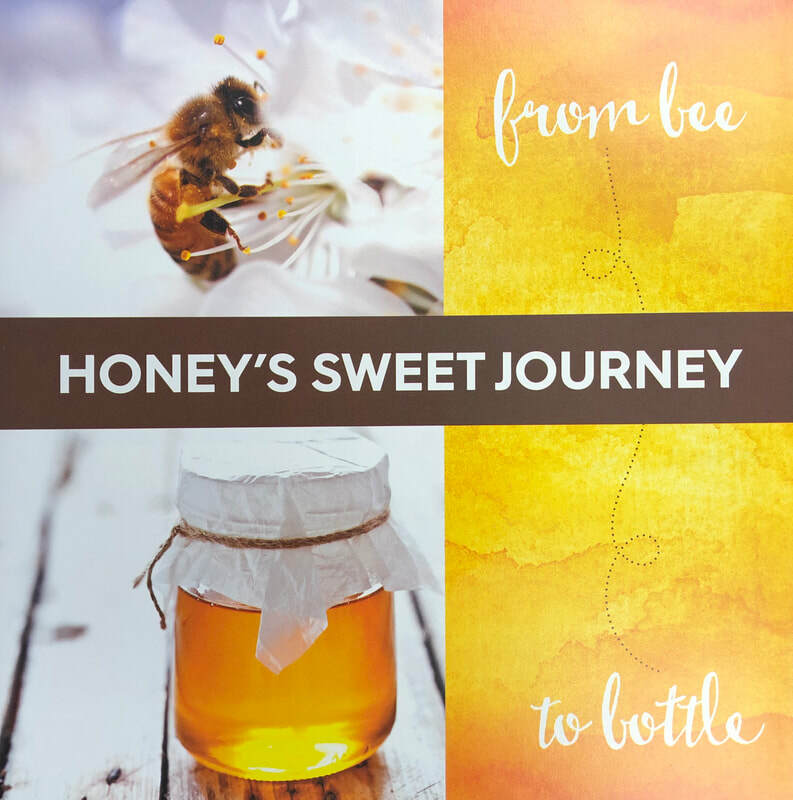 This educational brochure takes readers on a journey from the beginning of the honey making process all the way to the honey bear ending up on your kitchen table. 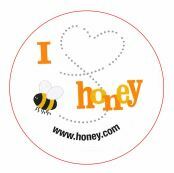 The brochure features creative ways to use honey and the important role of the honey bees throughout this process. It also covers topics such as honey bees & pollination and honey extraction & varietals, as well as honey’s versatility as a culinary, beauty, energy and cough ingredient. “A Kid’s Guide to Cooking with Honey” - This is a colorful collection of eight kid-friendly recipes, from a Honey Berry Waffle Sandwich to Peanut Butter Play Dough. Front includes stats; back includes Fun Facts! 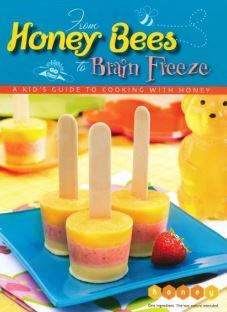 This brochure appeals to kids' interest in honey, as well as bees, and includes a recipe for Kaleidoscope Honey Pops and a word search puzzle.